St George's Church, formerly the parish church of Esher, is constructed from chequered stone with a shingled wood bell tower: "one of the very few built in Tudor times. . . . sometimes described as England's first Protestant church. . . . . The interior is largely as the Georgians left it" (Howkins, p.65). [JB]. Howkins, Chris. 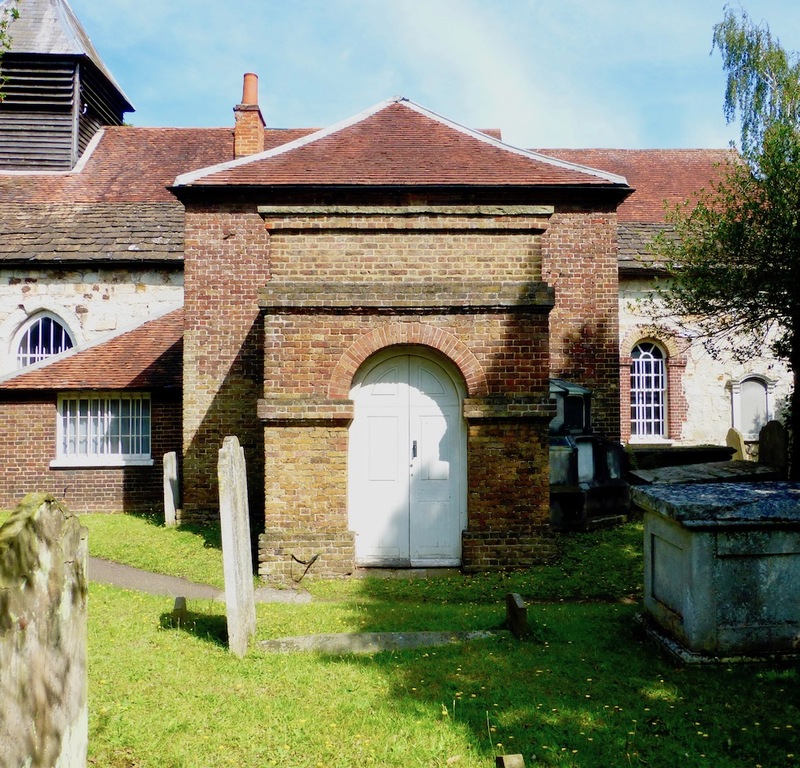 Hidden Surrey: Town and Country. Newbury: Countryside, 1990.